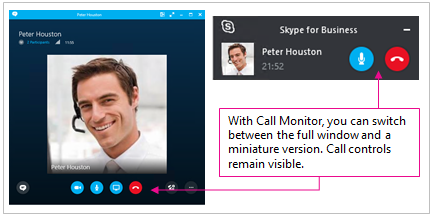 Important This feature is available only if your organization has Skype for Business Server 2015. If the person you are searching for is in your organization, keep the My Contacts tab selected (that's the default). 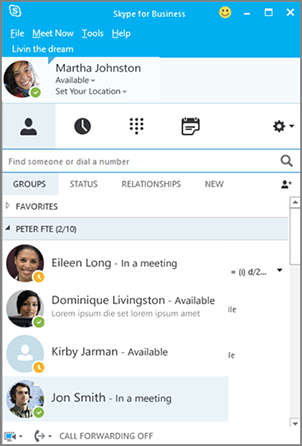 When My Contacts is selected, Skype for Business searches in your organization's address book.If the person you are searching for is not in your organization but you know they have a Skype account, click the Skype Directory tab to search for them among the millions of Skype users out there. 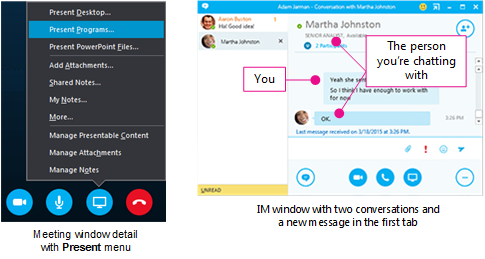 Knowing their Skype ID and location helps narrow the search quickly. 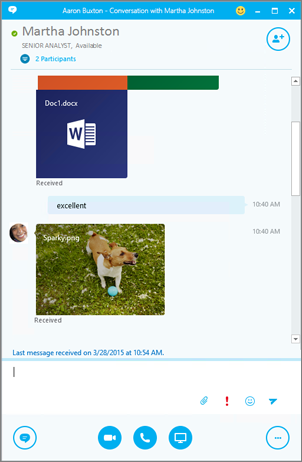 You can also search using their email address or Microsoft account (e.g., JohnDoe@outlook.com). Note Your administrator enables or disables the Skype Directory search feature in accordance with your organization's search policy. 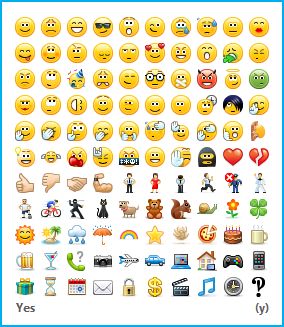 If you don't see a Skype Directory tab like the one shown in the screen shot above, then you won't be able to search for Skype users. 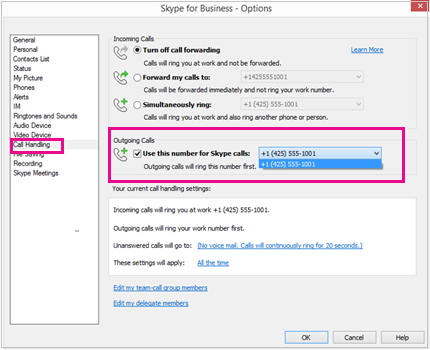 The Rate My Call feature lets Skype for Business Server 2015 administrators collect call data, access standard reports, and export raw data for further analysis. This feature is available for on-premises deployments only. 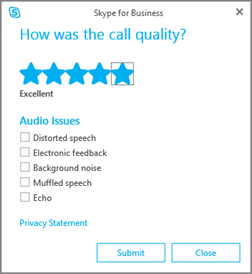 Users are prompted to take a survey after completing a call. Access to the dial pad and call controls is much improved. 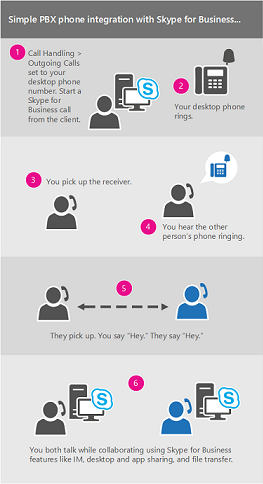 For public switched telephone network (PSTN) calls, the dial-pad and call controls remain visible throughout the call. 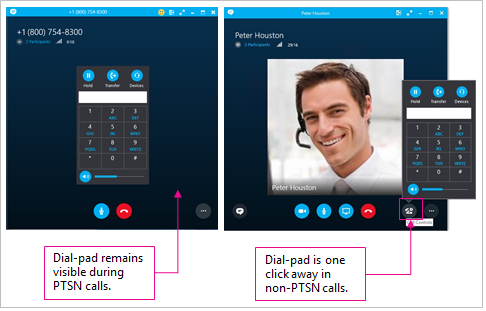 For non-PSTN calls, the dial-pad and call controls are accessible with one click.